Robert Brower and Patricia Sohler scored 0.77 masterpoints with a ★61.49%★ game at Sun Lakes Duplicate Bridge Club. See full results of this game. Eileen Utter and James Utter scored 0.44 masterpoints with a 52.35% game at Sun Lakes Duplicate Bridge Club. See full results of this game. Myrna Baker and Anne Casey scored 0.55 masterpoints with a 53.21% game at Sun Lakes Duplicate Bridge Club. See full results of this game. Roberta Vider and Kitty Larson scored 1.28 masterpoints with a ★61%★ game at Sun Lakes Duplicate Bridge Club. See full results of this game. Mark Litterman and Don Housley scored 2.53 masterpoints with a 57.8% game at Bridge On Shea. See full results of this game. Myrna Baker and Anne Casey scored 0.44 masterpoints with a 56.15% game at Sun Lakes Duplicate Bridge Club. See full results of this game. John Schnell and Allan Deserpa scored 1.60 masterpoints with a ★60.9%★ game at Bridge On Shea. See full results of this game. Eileen Utter and James Utter scored 0.24 masterpoints with a 48.18% game at Sun Lakes Duplicate Bridge Club. See full results of this game. Steve Weiner and Mark Litterman scored 1.78 masterpoints with a ★61.32%★ game at Bridge On Shea. See full results of this game. Jessie Brunswig and Allan Deserpa scored 3.17 masterpoints with a ★62.07%★ game at Bridge On Shea. See full results of this game. Eileen Utter and James Utter scored 0.68 masterpoints with a 52.85% game at Sun Lakes Duplicate Bridge Club. See full results of this game. Mark Litterman and Don Housley scored 1.74 masterpoints with a ★65.56%★ game at Bridge On Shea. See full results of this game. Robert Brower and Patricia Sohler scored 0.84 masterpoints with a 53.04% game at Sun Lakes Duplicate Bridge Club. See full results of this game. Anne Casey and Myrna Baker scored 1.97 masterpoints with a ★63.38%★ game at Sun Lakes Duplicate Bridge Club. See full results of this game. Eileen Utter and James Utter scored 0.88 masterpoints with a 54.15% game at Sun Lakes Duplicate Bridge Club. See full results of this game. John Schnell and Allan Deserpa scored 2.04 masterpoints with a ★60.29%★ game at Bridge On Shea. See full results of this game. Mark Litterman and Haig Tchamitch scored 2.92 masterpoints with a ★64.38%★ game at Bridge On Shea. See full results of this game. Myrna Baker and Anne Casey scored 0.46 masterpoints with a 53.64% game at Sun Lakes Duplicate Bridge Club. See full results of this game. 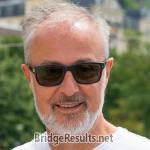 Mark Litterman and Liselotte Pouh scored 1.83 masterpoints with a 54.63% game at In Tempo Bridge Club. See full results of this game. Eileen Utter and James Utter scored 0.34 masterpoints with a 52.38% game at Sun Lakes Duplicate Bridge Club. See full results of this game. 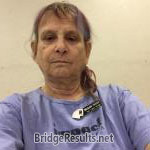 Patricia Sohler and Paul Glick scored 0.23 masterpoints with a 51.62% game at Sun Lakes Duplicate Bridge Club. See full results of this game. W. Lakin Hines and Chuck Irwin scored 0.88 masterpoints with a 53.23% game at Sun Lakes Duplicate Bridge Club. See full results of this game. Mark Litterman and Bill Keys scored 0.97 masterpoints with a 54.42% game at Bridge On Shea. See full results of this game. Myrna Baker and Anne Casey scored 2.08 masterpoints with a 59.58% game at Sun Lakes Duplicate Bridge Club. See full results of this game. Janelle Gibson. and Paul Glick scored 1.17 masterpoints with a 55.68% game at Sun Lakes Duplicate Bridge Club. See full results of this game. John Schnell and Allan Deserpa scored 2.04 masterpoints with a ★60.1%★ game at Bridge On Shea. See full results of this game. Mark Litterman and Michael Flanagan scored 0.41 masterpoints with a 54.21% game at Bridge On Shea. See full results of this game. W. Lakin Hines and Chuck Irwin scored 1.25 masterpoints with a 55.46% game at Sun Lakes Duplicate Bridge Club. See full results of this game.